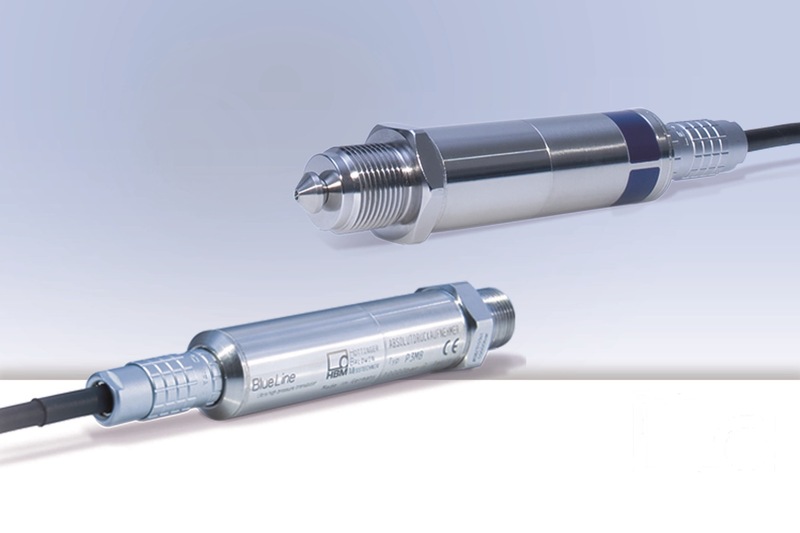 A range of pressure sensors has been introduced with capabilities of measurements up to 15000 bar with high accuracy. As part of its range of pressure sensors and transducers, the new P3MB and P3MBP from HBM provide reliable and secure test results, of up to 3,000 bar, with an accuracy class of up to 0.1. Suitable for both static and highly dynamic measurement tasks, the latest series of pressure transducers from HBM provides a flexible approach. Reliably proven, the leading range of pressure transducers have been successfully used in a variety of diverse fields of application, which range from transmission test rigs and diesel injection pumps to oil pressure measurements and hydraulic applications. For measurements up to 15,000 bar, such as those required for hydraulic test benches, water jet cutting, and diesel injecting, the P3MBB BlueLine version features three different nominal pressure ranges (5,000, 10,000 and 15,000) and a 0.3 accuracy class. By incorporating strain gauge technology, the new P3MB and P3MBP return exact and reliable measurement results, even for dynamic measurement tasks with high numbers of load cycles. Manufactured in stainless steel and designed to withstand high pressure, all pressure transducers in the HBM range feature a one-piece design, which ensures there are no seam welds or potential weak spots on the body of the transducer. The latest range of pressure transducers from HBM are also corrosion resistant and feature a protection rating of IP67 which makes them suitable for use in adverse or ambient conditions. Based on strain gauge technology, the latest range of pressure transducers from HBM provide reliable and trustworthy results, even in dynamic applications, with a large number of load cycles from the lowest pressures all the way up to 15,000 bar.